Welcome to Lolygames.com where you can play many free online games, including sports games, puzzles, logic games, games for girls, dress-up games, Barbie games. Here you will find fun for the whole family and it doesn’t matter if you are a kid or an adult. Try our games for adventurers, cooking games for the future chefs among you! Here you can try your skills in many different professions. You can be a bus driver, a bartender, a waiter in a very expensive restaurant or the beach! You can be a pilot, chef, nanny, hotel manager and why not even a French taxi driver! 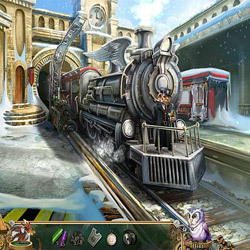 If you feel you spent enough time in the professional games you can try out our hidden objects games category. There you will try your observing skills and find items and objects hidden in castles, old houses, museums, ghostly gardens, destroyed bridges and even the seabed! Some of our games are easy, others are not so easy and you will have to show your skills to beat them, but whatever the case, you will have a great time on Lolygames.com!